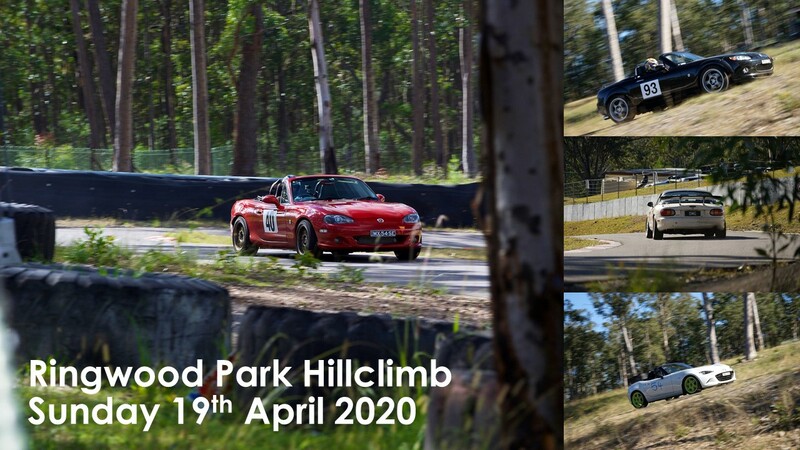 The MX-5 Club of NSW is responsible for organising the next National Meeting (NatMeet) of the MX-5 Clubs of Australia in 2020. 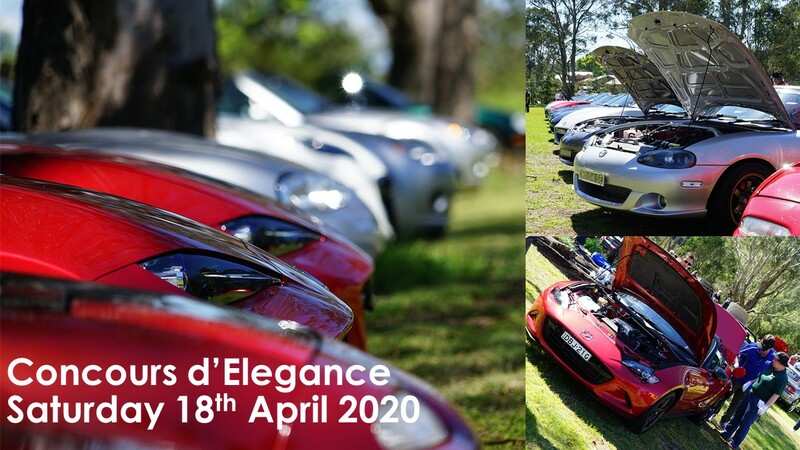 Not only will 2020 be the 30th Anniversary of the MX-5 Club of NSW, we will be celebrating the 100th Anniversary of Mazda. 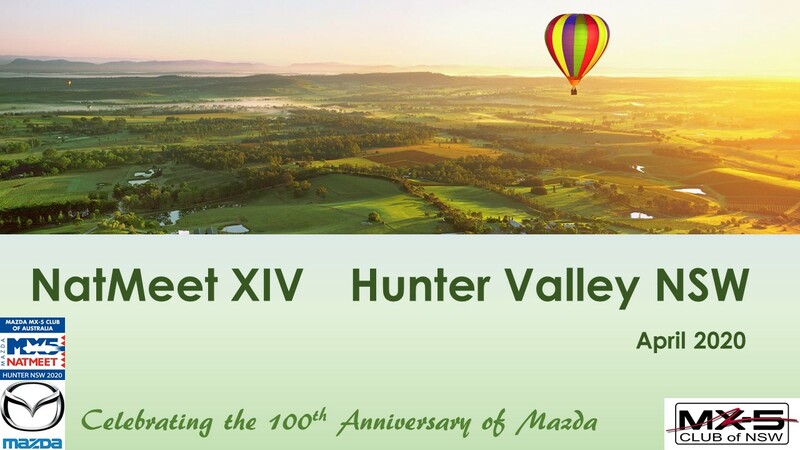 After previously hosting NatMeet in Canberra (1996 and 2012) and Blue Mountains (2004), we have chosen the Hunter Valley as our destination for 2020. 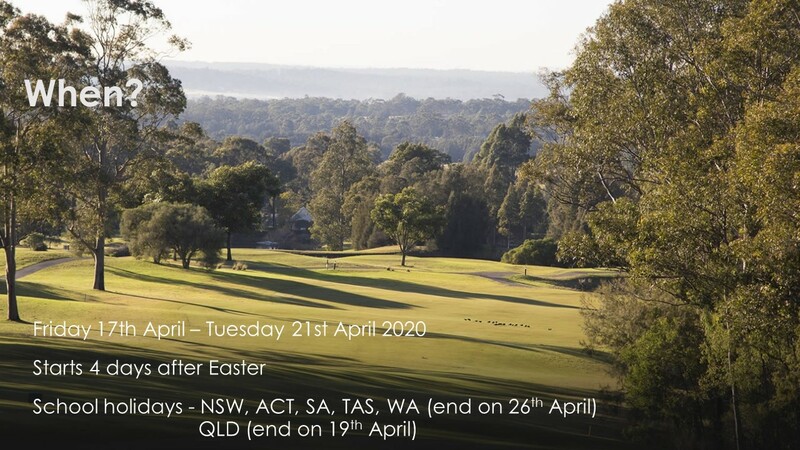 These dates align with the middle of the April school holidays in NSW, ACT, SA, TAS, WA (end on 26th April), and the end of school holidays in Queensland (end on 19th April). 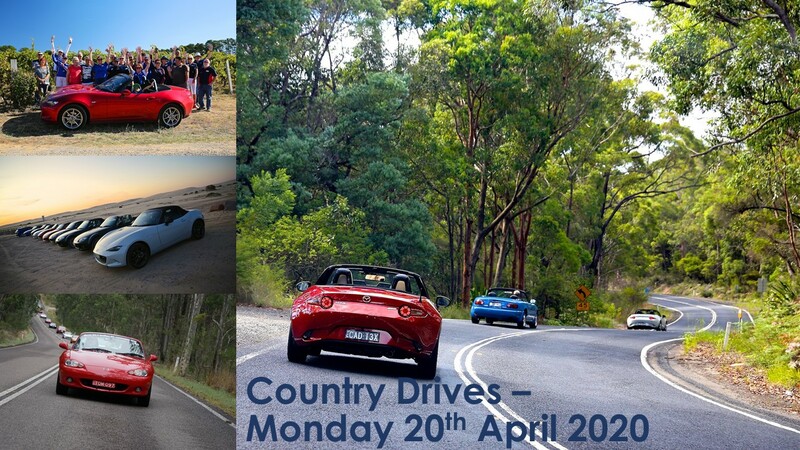 The event starts on Friday 17th April 2020, giving interstate MX-5ers four days after Easter Monday to travel to the Hunter Valley. 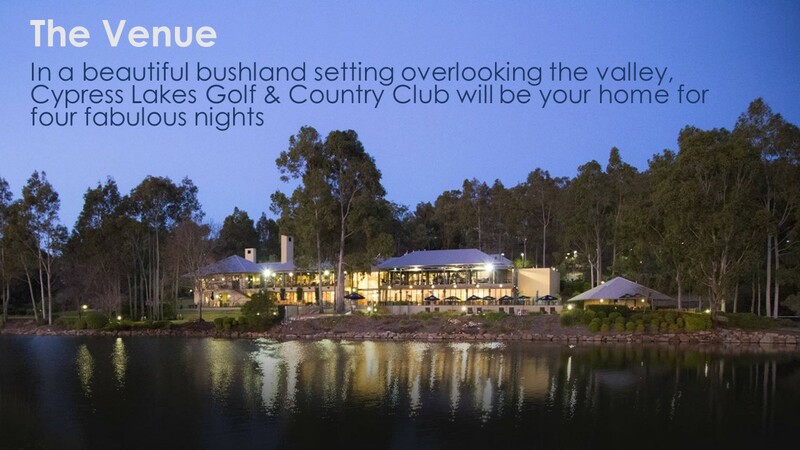 In a beautiful bushland setting overlooking the valley, Cypress Lakes Golf & Country Club will be your home for four fabulous nights. 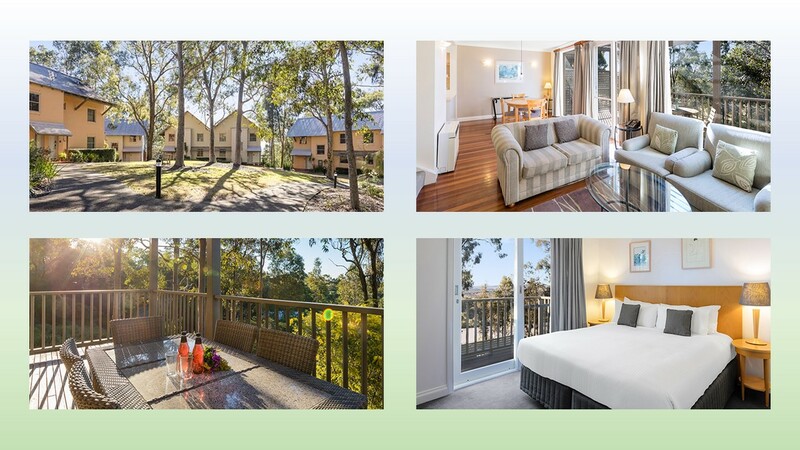 Cypress Lakes Resort offers luxurious accommodation for guests in multi-bedroom villas. All villas feature spacious lounge and dining rooms, bedrooms with ensuite bathrooms, balconies with views across the resort's 18-hole championship golf course, nearby vineyards and the Brokenback mountain range. Accommodation at the resort is not compulsory for the event, but is highly recommended. We are expecting up to 200 people to stay at the venue and have capacity for up to 250 at all other events. Please note accommodation bookings are separate to NatMeet registrations and there will be a booking form made available when registrations go live. Accommodation bookings can only be made using the form that will be provided, so you can secure the best prices. 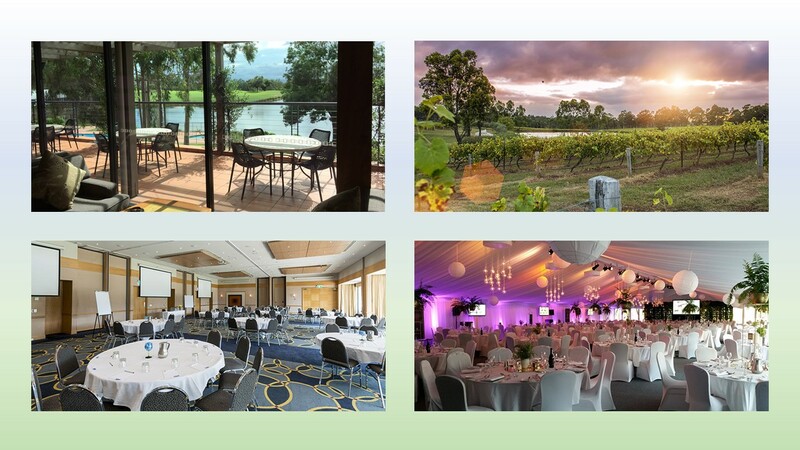 Optional Bus Tour – if we get enough interest – possible itinerary could be visit to Hunter Valley Gardens, a winery and a food outlet – then a stop for lunch at own expense. * there could be a possibility of running a track day at the new Circuit Italia facility – subject to availability, suitability and costs. 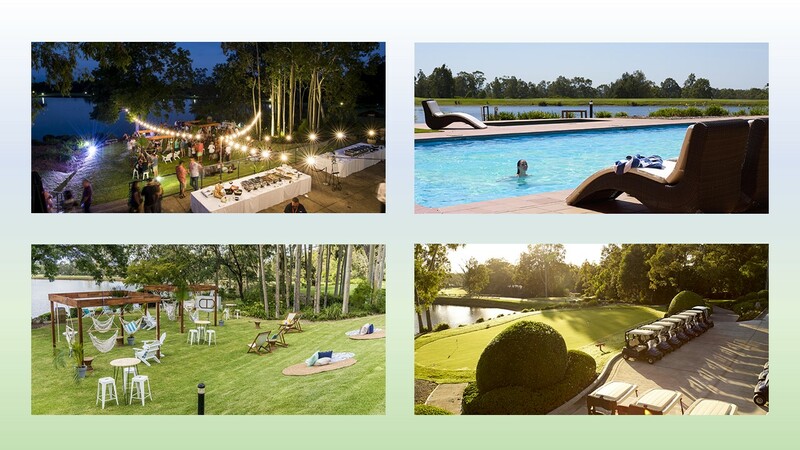 The four dinners and one lunch will be held on site at Cypress Lakes and are included in the entry fee. Lunch arrangements on the other two days are at your own expense. To be confirmed as we fine-tune prices – however at this time we estimate $500 per person. Not yet! We hope to release registration in late April or early May. Information will be provided to each State's Club when we are 'live' for registrations and accommodation bookings.